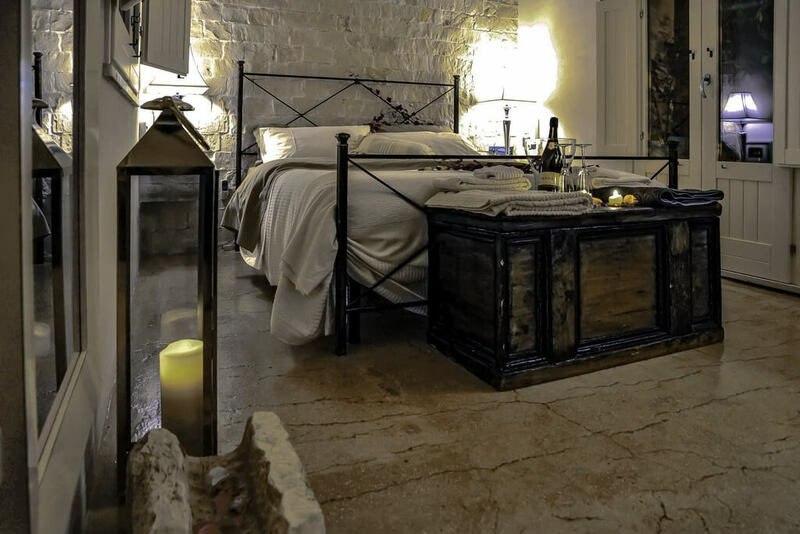 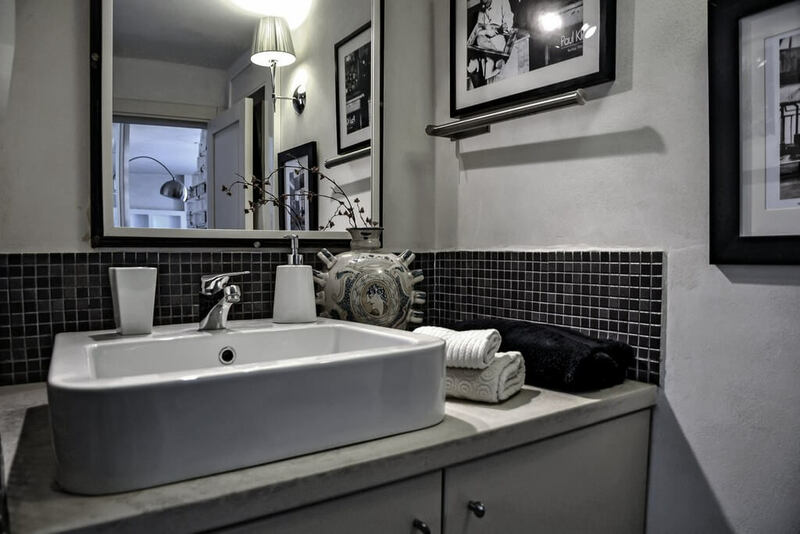 Kimiyá is a fascinating two-bedroom abode with an enchanting view over Modica, a jewel of the Sicilian Baroque period. 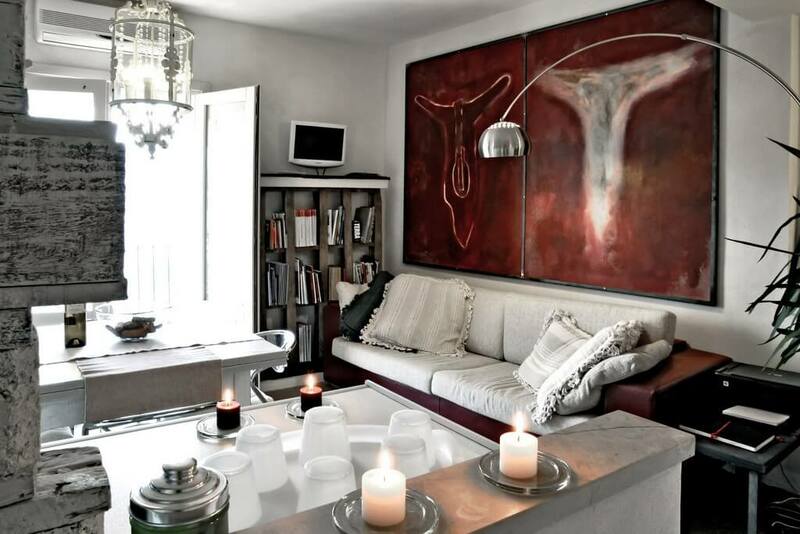 The house is located in a very quiet street in the historic centre near the Cathedral of S. Giorgio. 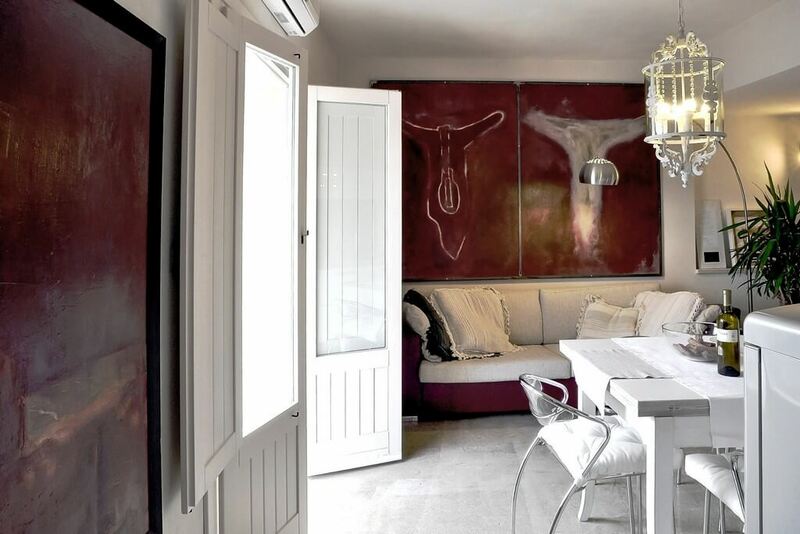 This property is a unique fusion of the past and the present and the soul of this early twentieth-century house has been preserved. 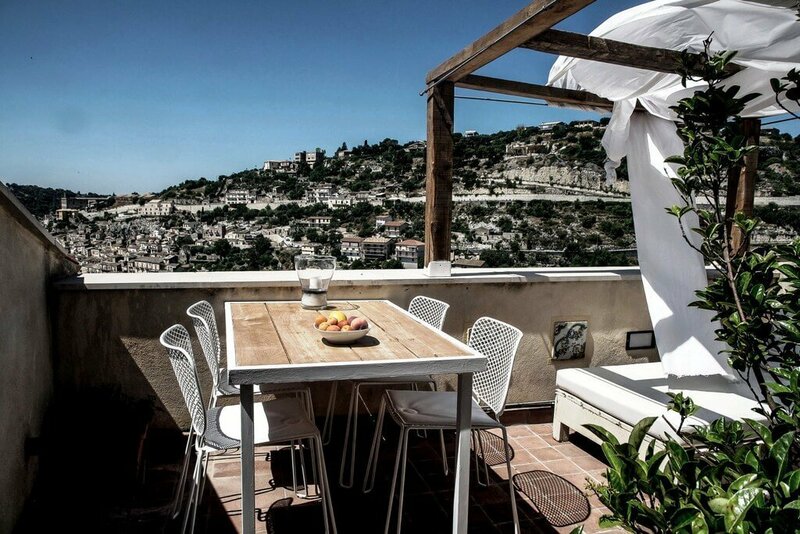 It features 2 double bedrooms, 2 bathrooms, living-kitchen, panoramic balcony and terrace. 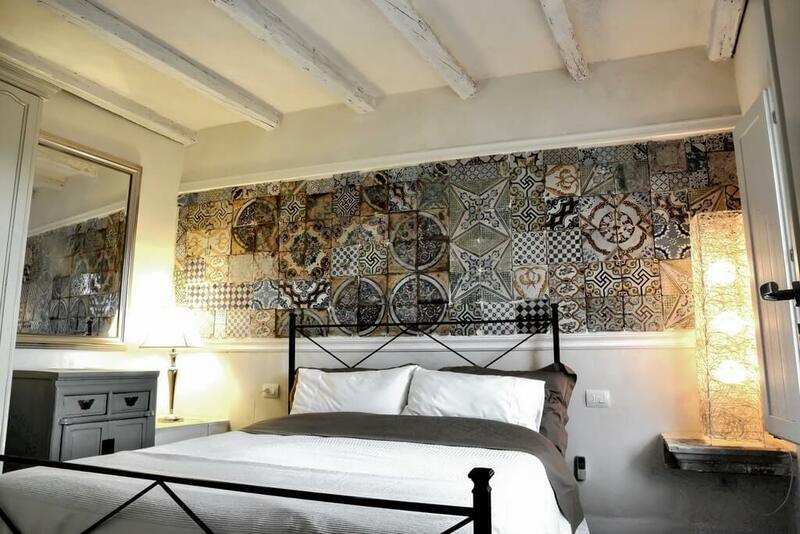 The shabby-chic decor, the re-used materials, the contemporary artworks and the ancient elements of the house alchemically combine together. 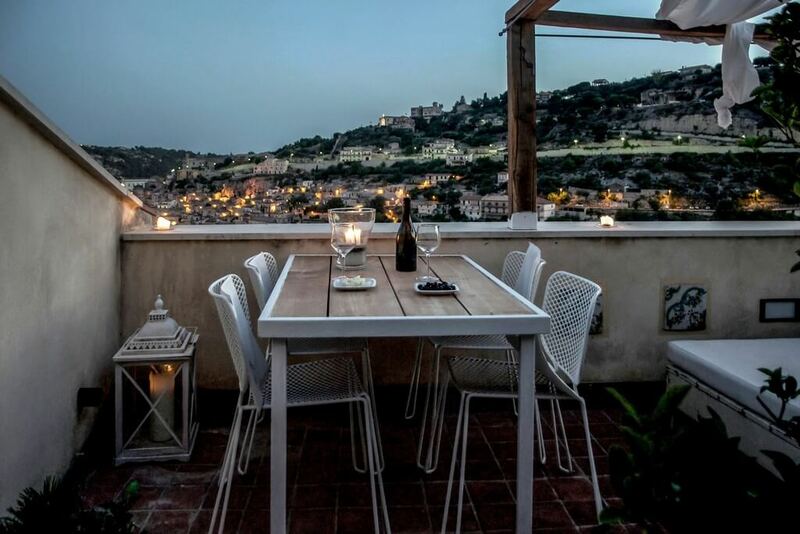 At the entrance, there is a living-kitchen with a table seating 4, a sofa bed, and a breathtaking view over the town. 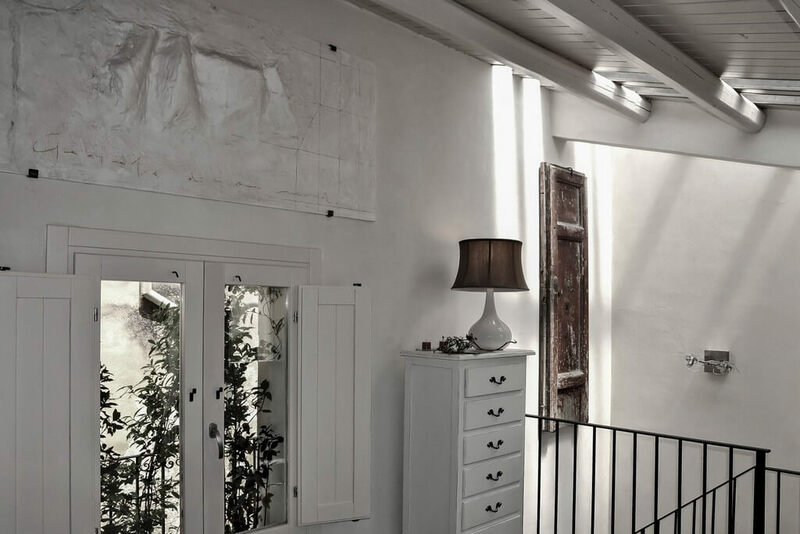 Through the front door, which has been transformed into a painting, the stairs lead up to the to a romantic bedroom with secluded terrace and mansard roofed area for the little ones, equipped with an art and ecology library. 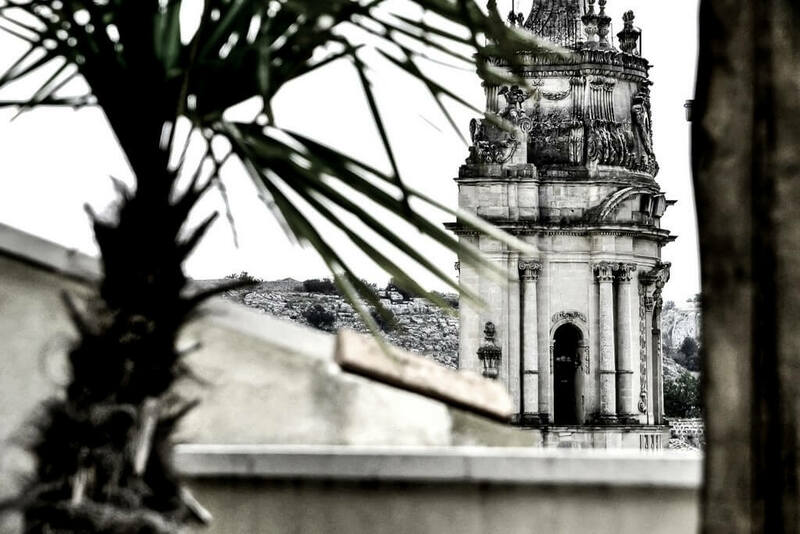 It is a secluded spot where you can enjoy the sunshine, have dinner and enjoy a good Sicilian wine. 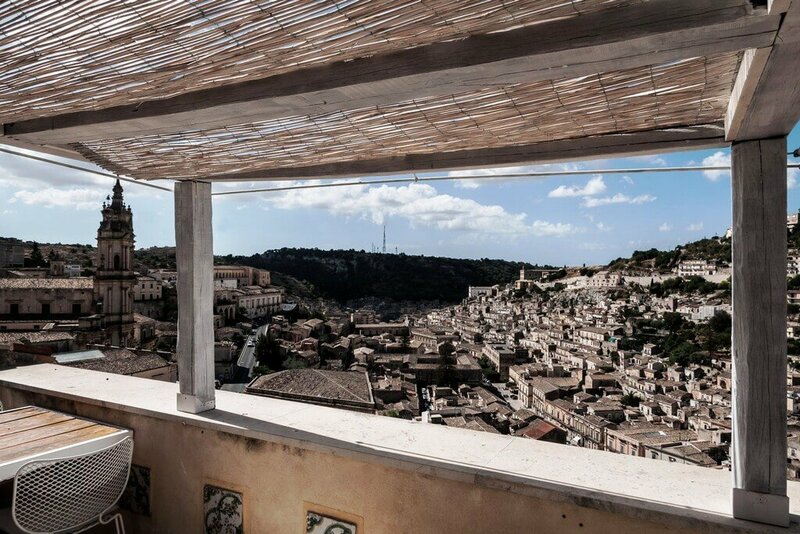 You have views across the entire historic centre of Modica: from the ancient Jewish quarter to the spectacular Baroque outline of the Cathedral of S. Giorgio. 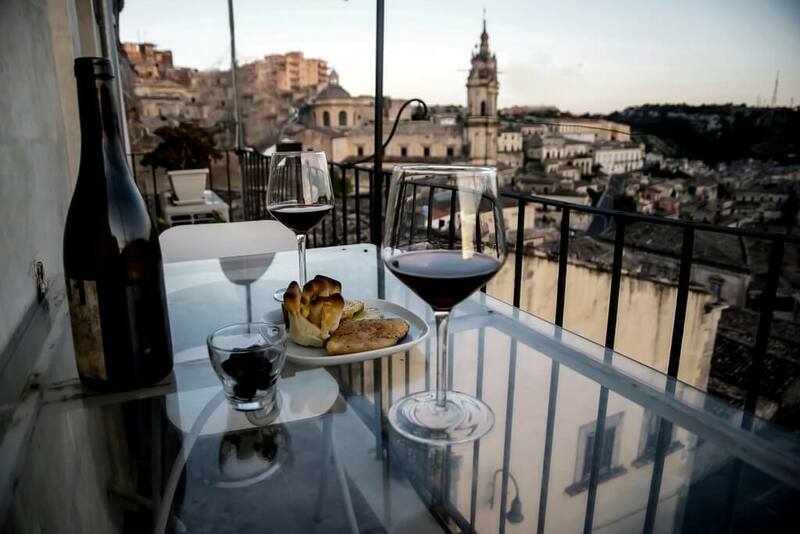 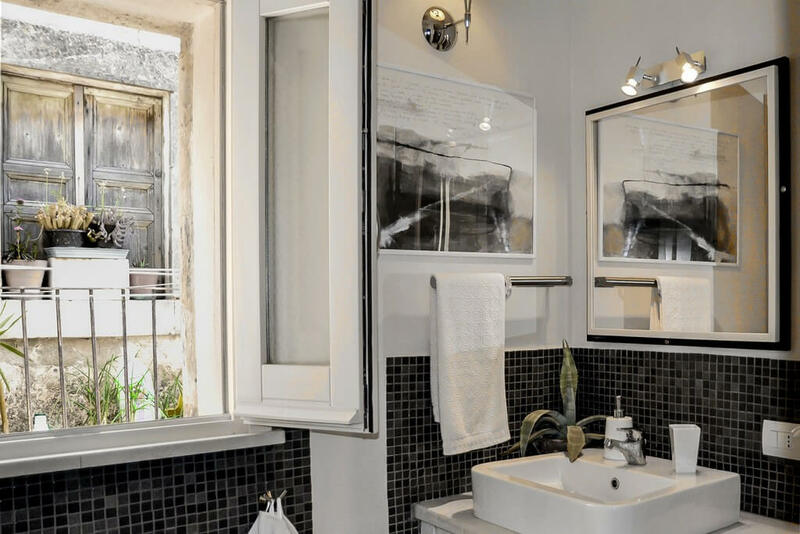 The ground floor bedroom has and a panoramic balcony which is an ideal location to have an aperitif overlooking the city lights, with the impression of being suspended in mid-air over the historic centre of Modica. 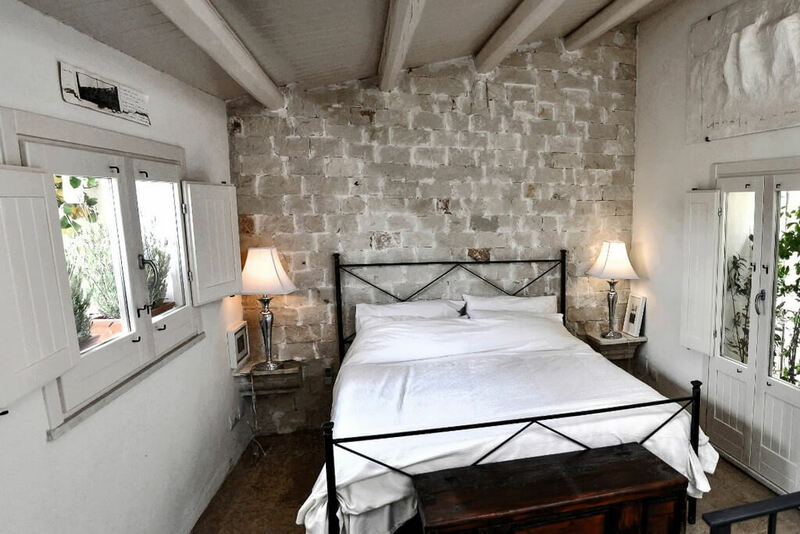 The two stunning bedrooms have wooden beam ceilings and wrought-iron beds. 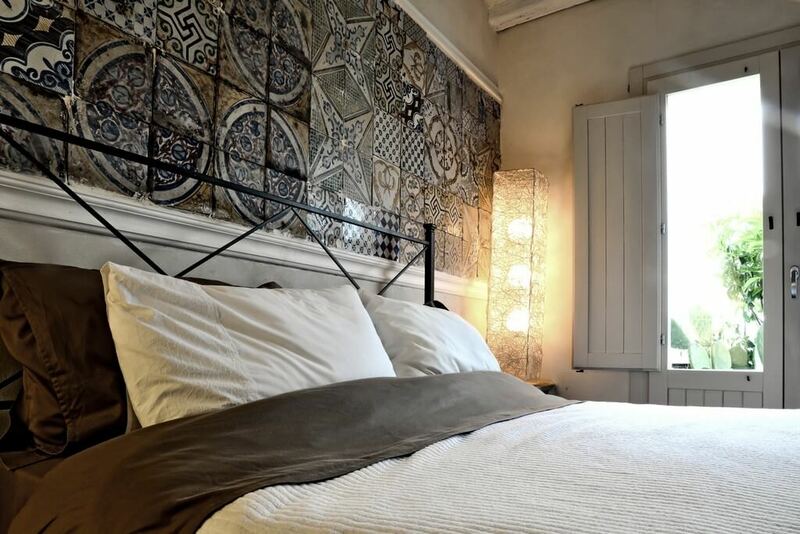 A wonderful house from where you can enjoy all the treasures that Sicily has to offer. 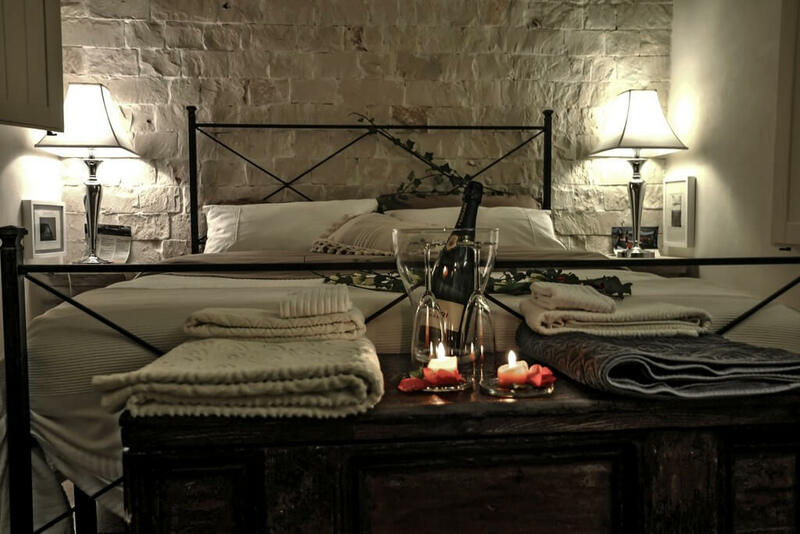 4 pers. 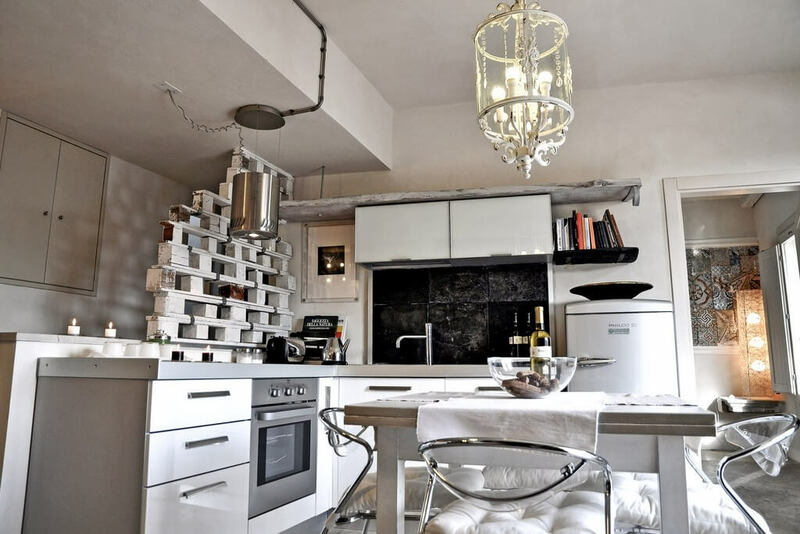 – 40 sq.m. 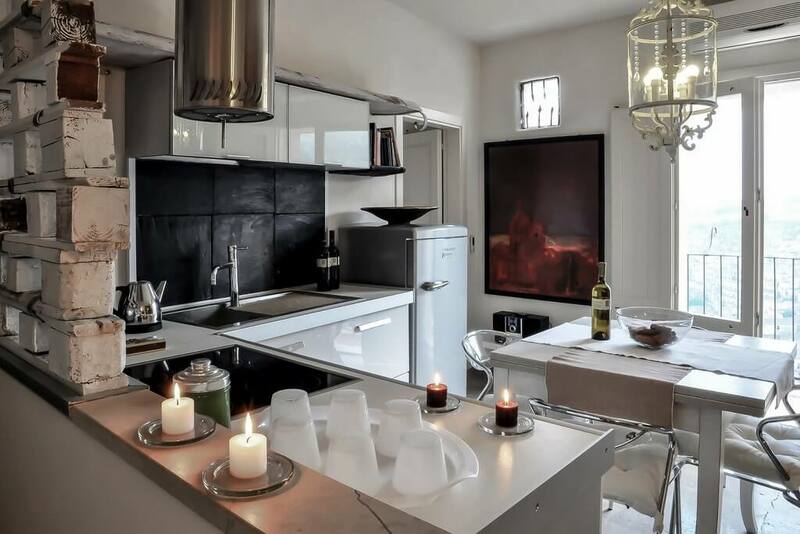 Living/dining room with Kitchenette, 2 double bedrooms, 2 shower/wc, panoramic balcony and terrace. 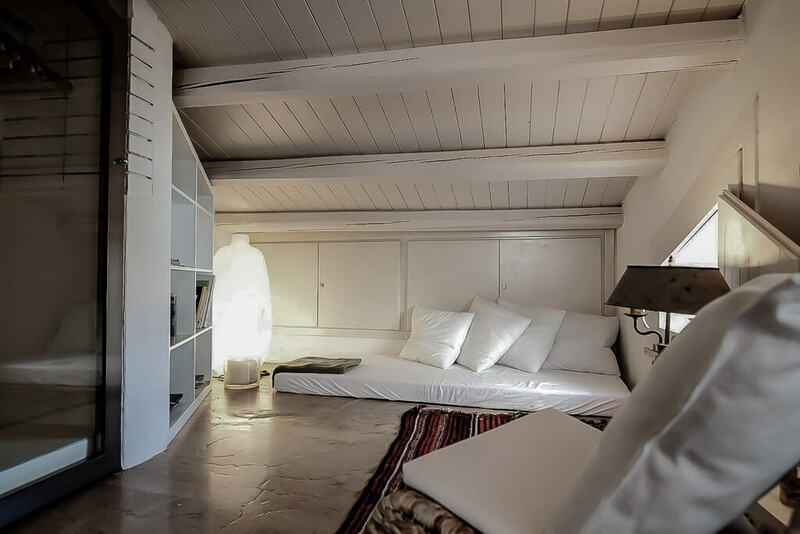 Small Mansard equipped with a futon.